The government is set to sell rice at Taka 10 per kilogram to 50 lakh extreme poor households across the country from the next month. "A total of 50 lakh extreme poor families will get rice at Taka 10 per kg and each family would get 30 kg rice per month," Food Minister Advocate Quamrul Islam told newsmen at a press conference held at Food Directorate in the city on Thursday. 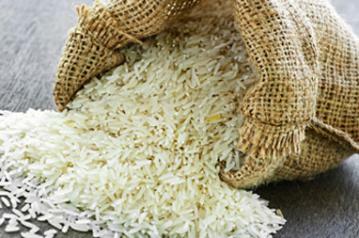 Around 7.50 lakh tonnes of rice require under the "Food Friendly Programme", the minister said. The programme was inaugurated by Prime Minister Sheikh Hasina for the extreme poor people of Chilmary upazila under Kurigram district on September 7, 2016. The food ministry has already prepared a policy to distribute rice among rural poor at union levels and the rice is usually sold during the five months in a year- September, October, November, March and April, Quamrul added, reports BSS. Under the programme titled- "Sheikh Hasinar Bangladesh, Khudha Hobe Niruddesh"- a card holder will get rice at Taka 10 per kilogram for five months a year during lean season, he added. The minister said the government has collected 5.40 tonnes of rice for the scheme.